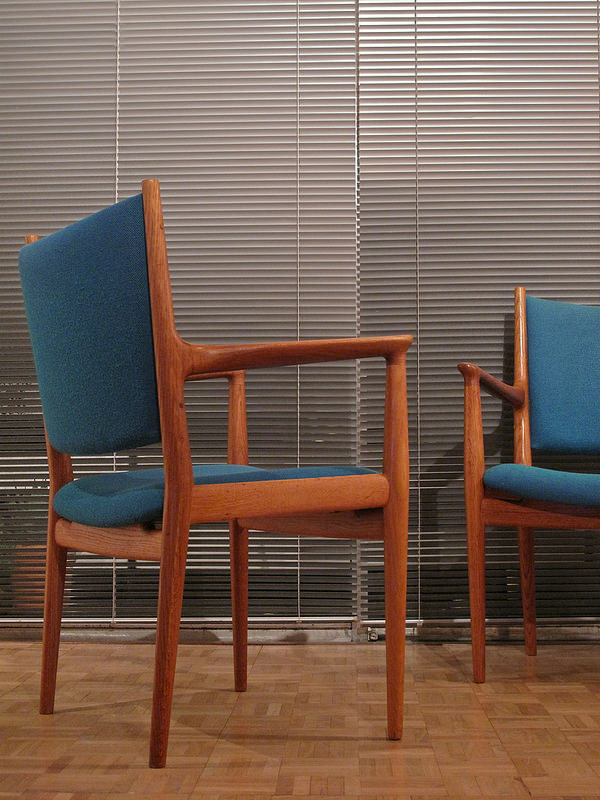 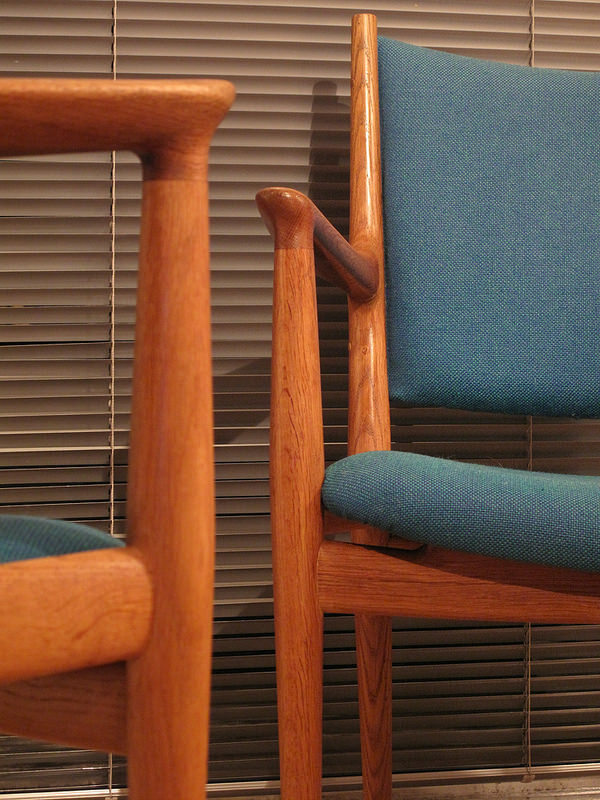 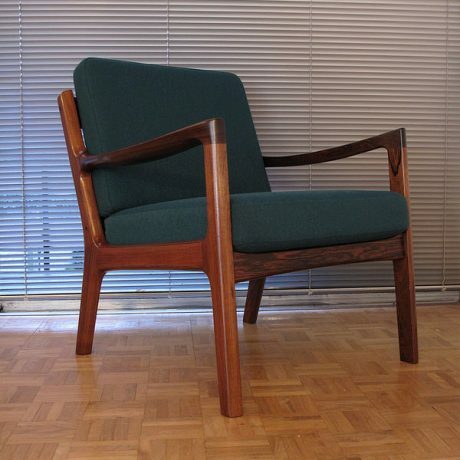 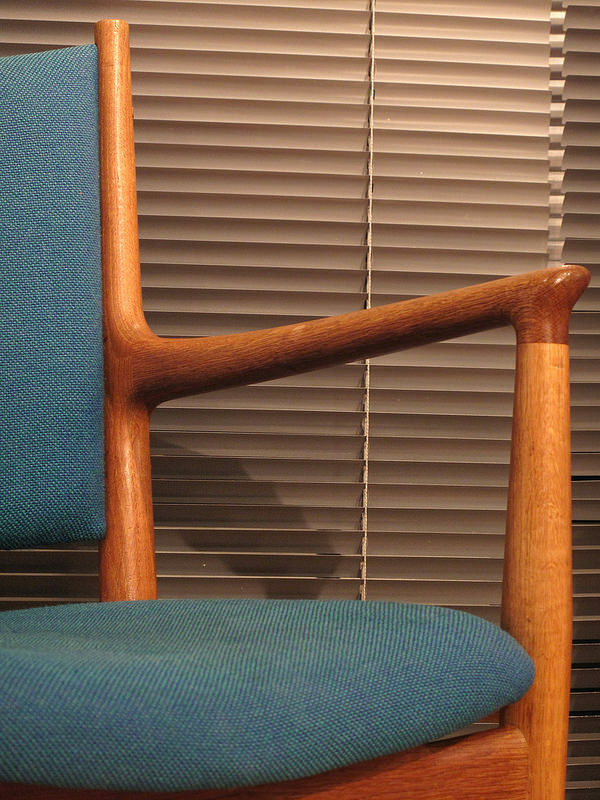 The Danish chair collector and author Noritsugu Oda described this design as one of Wegners most beautiful and successful chair creations and it is very easy to see why. 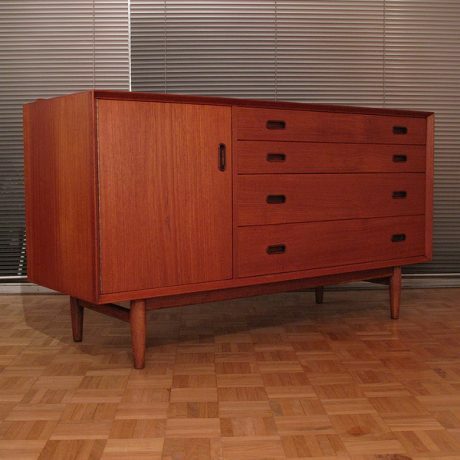 Crafted from solid oak the frame uses every visual cue in Wegners repertoire to create a minimalist masterpiece exhibiting outstanding joinery. 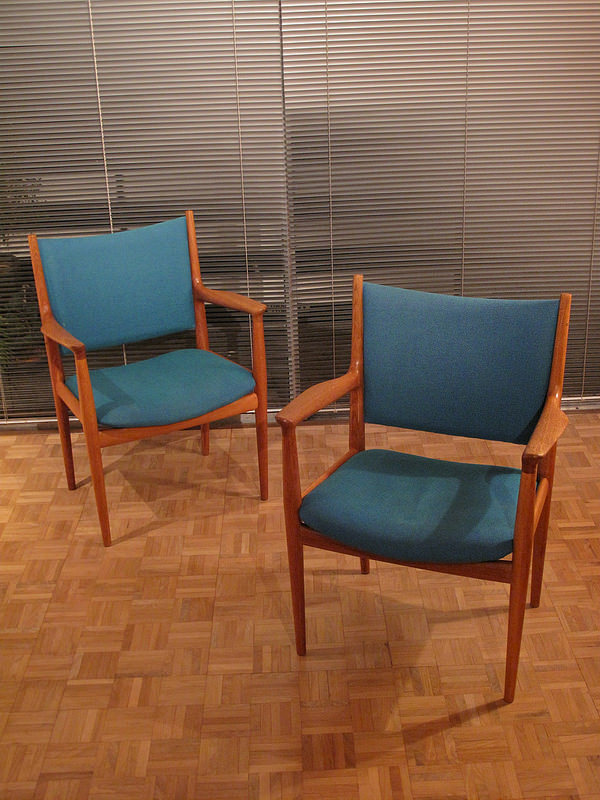 They would make excellent desk or meeting chairs. 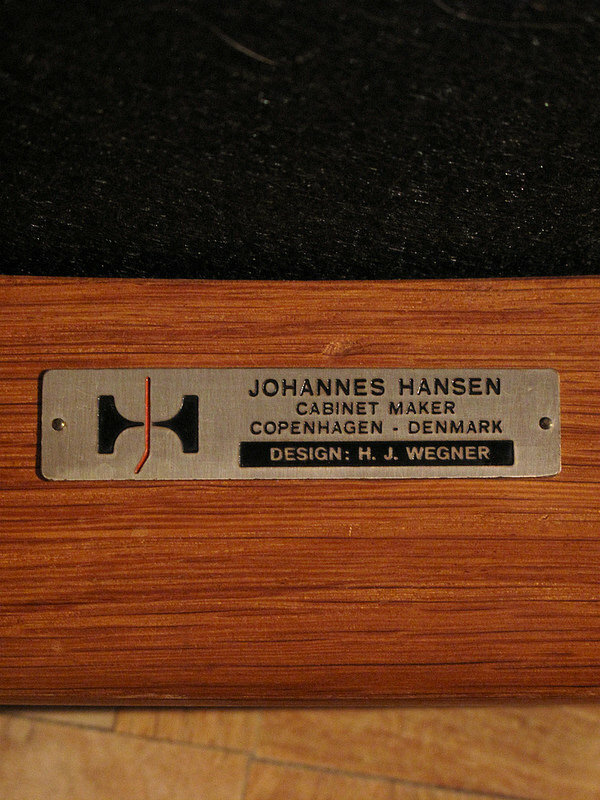 Produced by Johannes Hansen with makers plate to the underside. 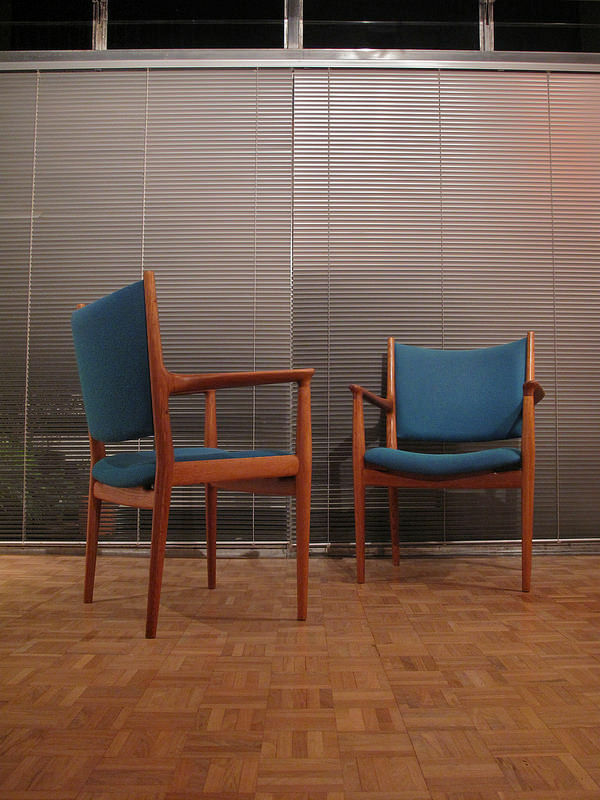 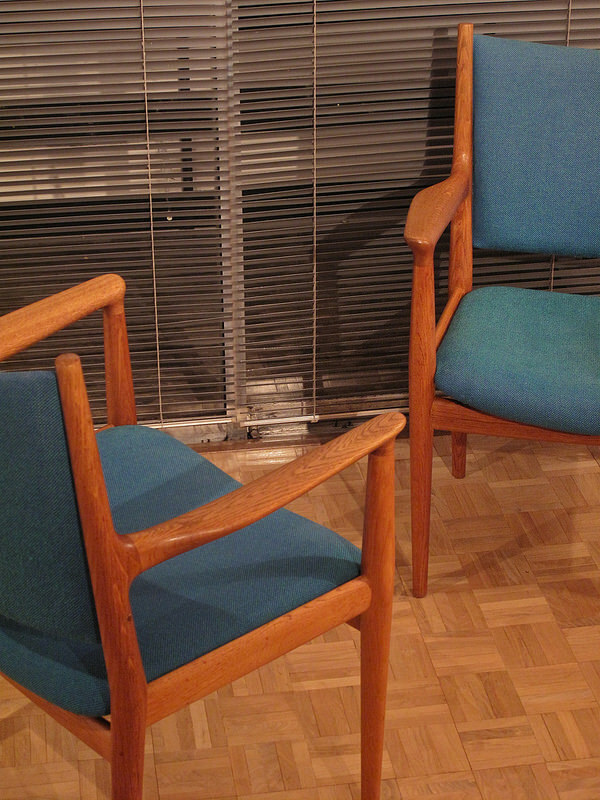 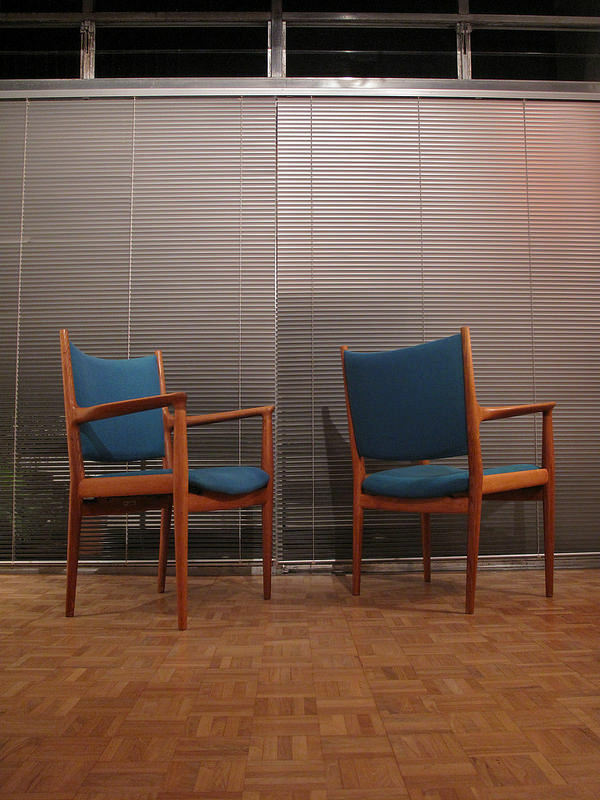 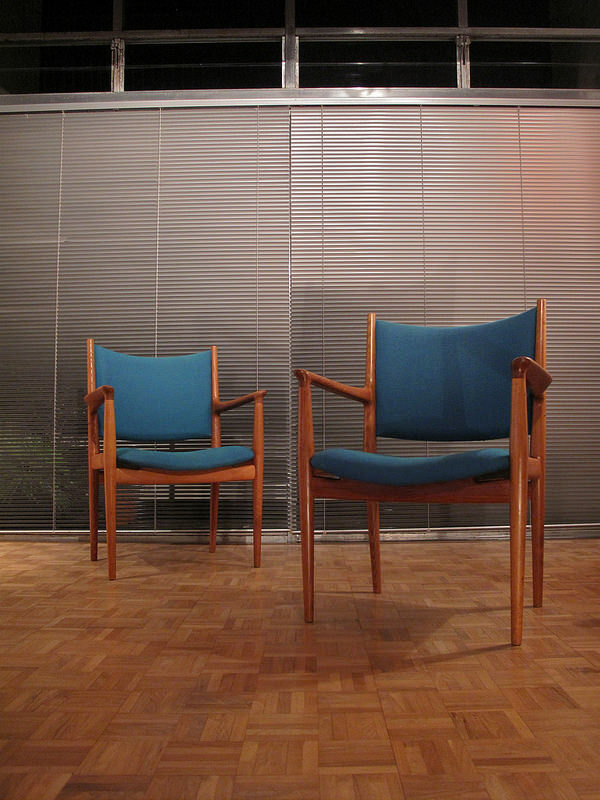 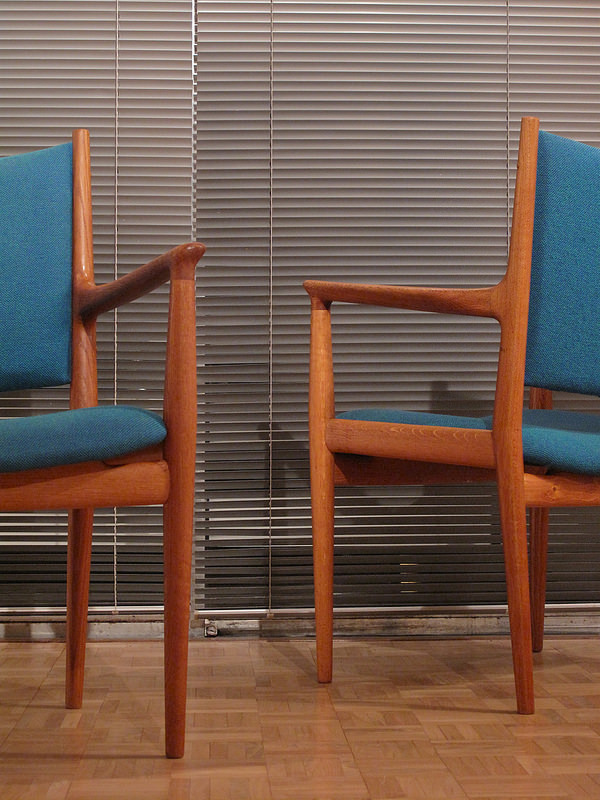 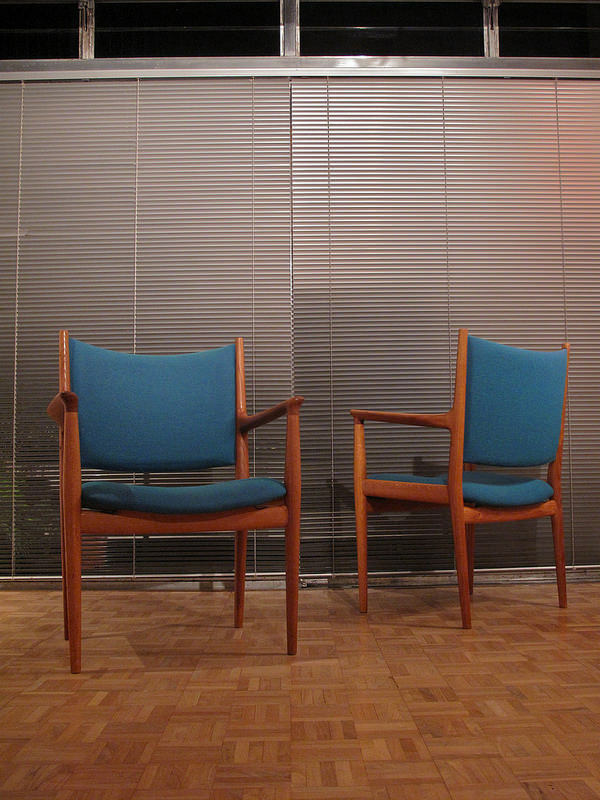 This pair have their original Hallingdal style fabric which although it appears blue in our images is actually an attractive teal colour.